Lately, several people have been asking me how to build a website. Well, I’ve finally found a bit of time to write about it and answer everyone simultaneously. There’s a lot to learn, so let’s get right to it. I’m going to keep it simple enough for beginners, but feel free to get in touch if you need more advanced help. The nice thing about this method, is that it enables you to build a simple, basic site which can grow with you. Why do you want to create a site? Is it to share knowledge or to sell something? It’s important to consider this, because your answer will determine the type of site you need. An e-commerce site will require a different platform than an online listing-type site with only a home and contact us page. However, I will explain to you how to build a website that can fulfill both needs. Your purpose will also determine the flow of your site. Do you want to find more customers online, or do you want to create a brand? When you know the purpose of your site, you can start visualizing how you want the site to flow. At this point, it is important to consider that you should approach the solution from a customer-centered perspective, rather than from your own. You might know that the solution to the client’s issue is to supply you with the model and serial number via email, but you need to guide site visitors accordingly. Your strategy, thus, would be to create a logical flow of information (use a mind map) and then lay out your site pages accordingly. By now you should be excited about the prospect of creating your website, but we’re not quite there yet. You first need to buy a domain. There are several extensions to choose from, namely .com, .net, .info, .co.za and many newer ones – all at a variety of price points. Hosting packages also come in a variety sizes and configurations, and the one you choose will depend on your needs. A simple personal site doesn’t need a lot of space or bandwidth, whereas a photography site will need a lot of space and a viral content site will need a lot of bandwidth. Some hosts offer free domain names if you sign up for a hosting package for a year in advance. Domain names are renewable every year and can range from $9.99 – $100s and hosting packages range from $3.99 per month upwards, depending on your needs. You can also get a free domain name, with free hosting from sites like Wix or Blogger and WordPress.com, but I strongly advise against that if you want to be taken seriously. Why? Rather invest in a decent site with reliable hosting and CPanel. WordPress.org differs from WordPress.com. I won’t go into the technicalities, but WordPress.org (free on self-hosted sites) is the most intuitive, stable and customizable Content Management System. You can install this from your host’s backend. 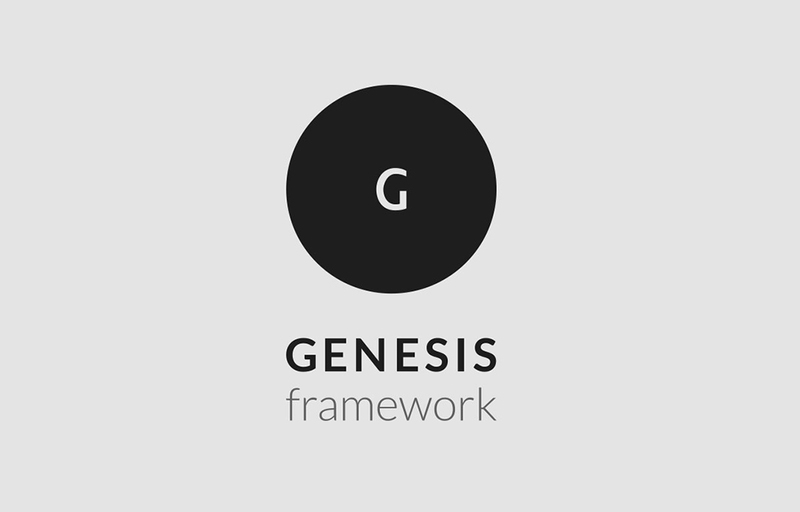 Genesis makes customization easy. Now you don’t have to worry about wiping out your entire site when you make a small change as it only changes the theme. It’s perfect to learn coding on! In addition, Genesis is responsive and mobile friendly. That’s a MUST when you want your site to be ranked on the search results pages. It’s also SEO-friendly and allows for incredibly customizable. You can buy Genesis from StudioPress for $59.95. Finally, we get to the fun stuff! Genesis needs a child theme to function. A child theme provides “structure” and a basic look for your site. It’s like underwear – you have to add the clothes, accessories, make-up and personality to make it shine. Once your child theme is installed, you can start creating your site. The beauty of combining WordPress and Genesis lies in the thousands of plugins (free and paid) that you can use to add functionality to your site. From payment gateways to galleries, sliders to e-commerce listings, to fonts and content boxes, the sky’s the limit. Learn more about digital copywriting here. Contrary to popular belief, it’s not the appearance, but rather the functionality of a site that makes it successful. Avoid all the bells and whistles that were popular ten years go. Flash simply slows your site down and makes it look cheap. Avoid massive images and auto-playing videos. If your site doesn’t load in 3 seconds, you risk losing potential visitors. Use original images to avoid copyright violations. Customize stock images with relevant text. Compress large images to improve page load time. Use proper software to resize images. Blogging is the best way to get traffic to your site, as it can be informative and interesting to your readers, who may share your content on social media. Also, whenever you post a new blog, the search engine crawlers pick up on it and new pages are indexed. Learn how to create a website with my fun on-the-job promo. Since there’s a ton to learn and because you want to be sure that you have the time, patience and inclination to run a site until it’s successful (it can take time! ), let me create a site for you. Learn more about my basic small business website package here. Get in touch with me if you’d like to learn more. I hope you’ve gleaned valuable information from this post on how to create a website!